I am using the last version of K2. Yes, the plugin looks to be well activated. And it works for the main text content of the K2 element. I meet this issue only for extrafields. Last edit: 4 months 4 weeks ago by Pierre-Emmanuel DUBREUIL. OK... 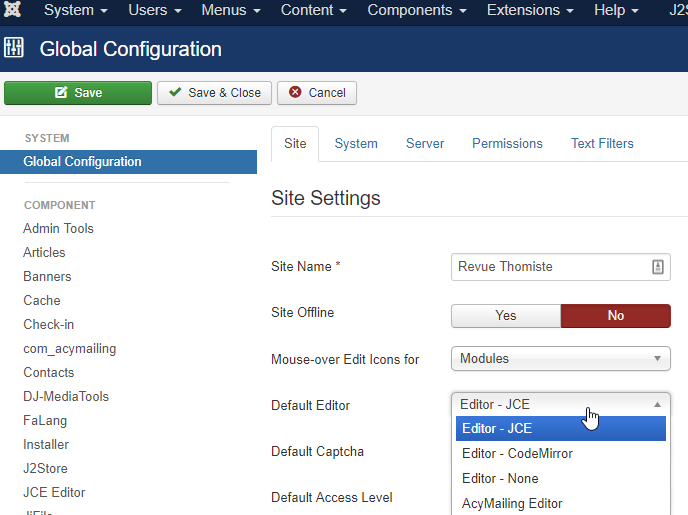 The update of Joomla version would require to check the behavior of all the plugins, which may be a big work ! 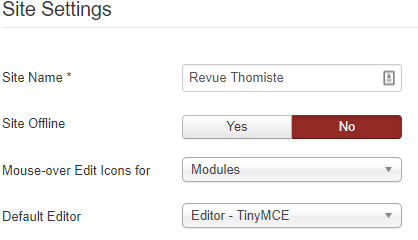 So you think that is why we have TinyMCE working correctly in "Content" tab but not working in "Extra fields" tab? Any idea how could I fix that easily? 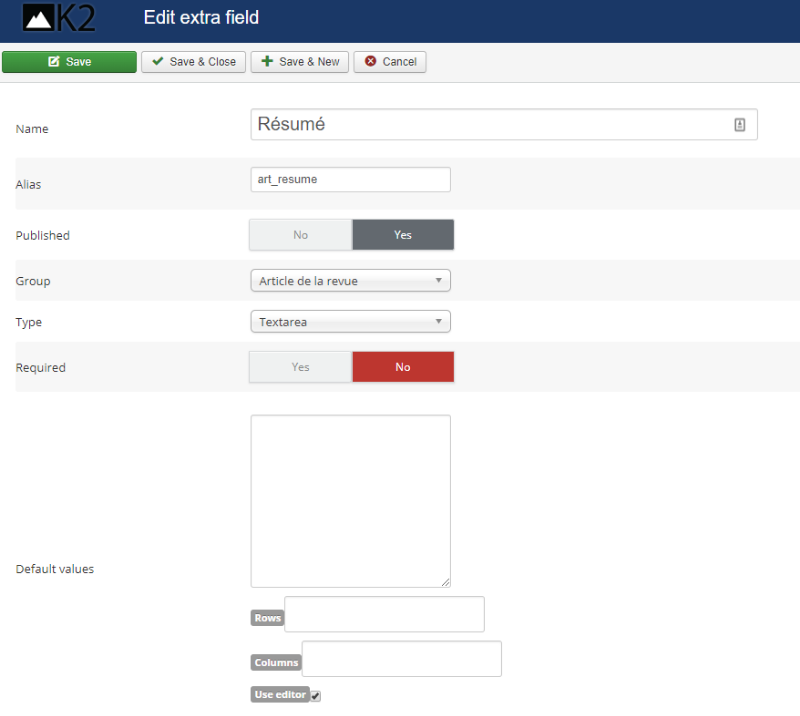 Alternatively, install JCE or use another editor and K2 will automatically switch to using NicEdit for these fields. OK, thank you very much: I understand now! No matter the installed editor, the issue is the same. We will work on this update of Joomla. Yes: as soon as I define an editor in Joomla configuration, I meet this bug.